Like any classic country success story, Rascal Flatts got its start in Nashville, Tennessee, at the Fiddle and Steel Guitar Bar. 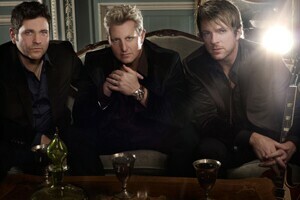 Rascal Flatts has since produced seven platinum-(or higher!) certified albums, landed 13 singles in the number-one spot on the charts, and acquired more than 40 awards. "As a kid in Columbus, Ohio, I loved getting into the car with my family on Christmas Eve and going downtown to look at all of the Christmas lights. There was a huge nativity scene on Broad Street that was spectacular! 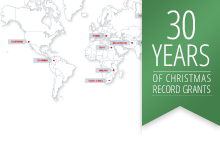 Afterward, we would all go back to the house, eat pizza, and wait for Santa to come."